The Federal Government is trying to make House Calls by your veterinarian illegal. If not illegal, at least severely restrict them. A federal law called the Controlled Substances Act or (CSA) now says that it is illegal for veterinarians to use some very common medications away from where they are ‘officially’ registered- typically a veterinary clinic. These common medications are for things such as compassionate euthanasia, sedation, pain medication and anesthesia; they are saying that it is illegal for any veterinarian to transport and use these controlled medications. The law is enforced by the Drug Enforcement Administration (DEA), which has now stated that unless the law is changed, veterinarians are in violation of the CSA and are unable to provide compassionate and complete veterinary care. So now some veterinarians have stopped carrying around common medications such as Sodium Pentobarbital for home euthanasia; some rural practitioners are now resorting to guns for euthanasia. 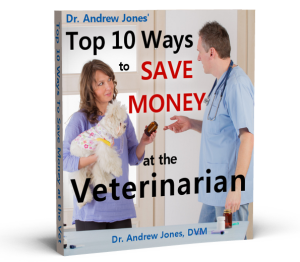 While I was in veterinary practice, the most common reason I would perform a House Call was for a home euthanasia. It was much less stressful for the pet, the owners, and a far more pleasant way to remember the last moments of a beloved animal. When the time comes for my pets to be euthanized, I want it to be in my home. Clearly the Federal Government and the FDA have their priorities completely wrong; just who and what do they think they are protecting? Should fairly addictive drugs be controlled? Is this a reasonable and fair way to control them? This law can be changed and it will happen in Congress. The AVMA is petitioning Congress to make changes to this legislation which will clearly harm our animals. You can go to: http://avmacan.avma.org/avma/issues/alert/?alertid=62592206, and enter your ZIP code to demand that congress change the current law. Completely ridiculous. Euthanasia at home can be the final gift you give to your beloved friend. this is another exaple of ridiculous overreaching by the government. Perhaps they could better invest their time trying to create a reasonable budget, take a stand against illegal immigration, fight unemployment and stanch terrorism rather than generate problems where none exist. Thanks for the heads up. I completely agree that this is an asinine regulation. I had to let go of one of my dogs last May and there would have been no way to get her to the vet. He had steep stairs in his basement office and the dog could barely walk, she was also over 100lbs so there was no carrying her either. She went down in her favorite spot by the garden fence and I would not have wished for anything else for her. I hope that this type of regulation can be stopped as it takes away a level of comfort for both the pet parents as well as the pets. What a load of nonsense. In Australia we have lots of mobile Vets who operate out of a Van. Also many people, especially elderly, do not have transport, so have to call a Vet to their home. Fair dinkum I just do not understand govts these days. They appear to lack just plain common sense. Personally I would like to see all govts worldwide do something about abolishing puppy farming. Ireland has. I just do not know what the world is coming to. Stupid laws, stupid amendments for example like a judge in the US did not convict a person for making videos of crushing animals because of some stupid amendment. The world is sick and its getting worse. What happens then if a farmer has a cow that has to be euthanized. Does he have to take it to the Vet? The mind boggles. What an utter load of rubbish this is. What a pity these people have nothing better to do with their time except making things even harder to let our beloved pets cross the Bridge. I was fortunate many years ago to let go of my 15 year old cat that I had had since 10 at home. I have had to let go with all my others ta a vet office. I have been fortunate that some were very caring and it was done with compassion. The last time was awful. Lets keep home euthanasia legal. I am guessing that this applies in the US? I am a bit confused, as I know you are in Canada, as am I. Are changes afoot here as well? There is NO acceptable excuse to murder your pet. If he is sick, keep him comfortable and let GOD decide when it’s his time. Euthanasia is a fancy word for murder. It’s disgusting. They need to make a veterinary exception!!! you should give your pet love,comfort and care till the end of their life.bec. when they are still young and be adorable they give there love the best they could gve to us pet owner.have pitty to them.yes let God decide when its the right tme for them,they are like humans.they hve feelings.!!!! This is the most personal and emotional event in the life of pet ownership. Many people simply cannot drive to the vets or anywhere under such duress to have their pet cross the bridge.. to drive anywhere under such stress could also cause an accident (if it has to come down to needing ‘reasons’ in such a perspective) Also, some pets are large and often cannot be carried TO the car in the first place,, if in such discomfort, often impossible to move a large pet ‘anywhere’. 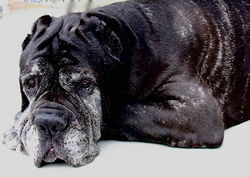 Often a senior pet is owned by a senior person who would find it difficult to get TO the vets in the first place, let alone to drive under such emotional sadness. To let your pet go ‘in the home’ is what most pet lovers want.. it also helps all other pets in the house an opportunity to say goodbye, rather than see one pet go to the vets and not come home. This act to not allow this is cruel to both pet owners and the pets. Pets ‘matter’ to their loving owners. This Congress have to pull up their socks and get real here,, phenobarbital is also a drug used for pet owners with pets who have seizures.. so their logic to not allow to transport this medication is flat out BUNK ! So what is next,, to take your pet to the vets DAILY for their dose of phenobarbital to control seizures?.. how stressful is that! .. this is all very STUPID and I question the real reason why they are pushing this asinine legislation to not allow euthanizing your dying pet ‘in the home’ . This measure is beyond draconian! And yes, I have contacted my Congressmen regarding a veterinary exception. No animal – large or small – should be denied appropriate and effective care while offering as much ease and comfort as possible. These people can’t really expect a horse owner (or the owner of another large animal) to drag a down or suffering creature into a trailer to haul to the vet, and that’s assuming the owner even HAS a trailer! Such a requirement goes beyond abject cruelty – and any owner who tried to comply with such a requirement would deserve to be charged with animal cruelty. These legislators obviously are not animal lovers. By imposing this restriction they demonstrate just the opposite, in addition to being grossly ignorant and ill-informed. While I’m at it – anyone who chooses to deny the opportunity, nay the necessity, of euthanizing a gravely suffering animal obviously has never experienced the horror of a badly twisted gut, or a shattered leg, or a dystocea where in her efforts to expel a badly-positioned baby (foal, calf, even a dog) the mother has ruptured herself beyond any hope of repair. Permitting such suffering, which may well exceed the capabilities of pain medications (especially any actually permitted by this law) until the animal dies of its injuries is insufferably cruel and unnecessary. The government from every company should stay away from our home choices. We know our animals and they tell us when it is time. It breaks our hearts and we cry, so it is best when it happens at home because we don’t have to walk out of the room into the waiting room, waiting to pay with tears coming down our cheeks. Governments have their heads in their rear ends, so they can’t see much and they think all the info is up there. Do politicians at any level, in any country, actually know what COMMON SENSE is. My personal view is that they do not have a clue. They should leave well alone and let the real experts get on with their work to the best of their ability without interference and stupidity from politicians. This is absolutely ridiculous. Government is trying to regulate everything to death… No pun intended. Common sense has to be used when passing some of these legislations and I really think that here “common sense” is severely lacking. They obviously do not own pets or else they do and have someone else look after them. Transporting a gravely injured or ill pet is sometimes too stressful on that pet and I think this is a STUPID regulation. This is sad news to hear! I most certainly will sign the petition and are hoping that a majority of people will do too. It takes a lot of signatures to make a difference. Please, everyone take that moment to sign to help change this important matter. I thank you to the latest news Dr, have yourself a great weekend. It is the vet that is registered, not the building/premises he/she works from. It has nothing to do with govt. Who is behind this – who gains?